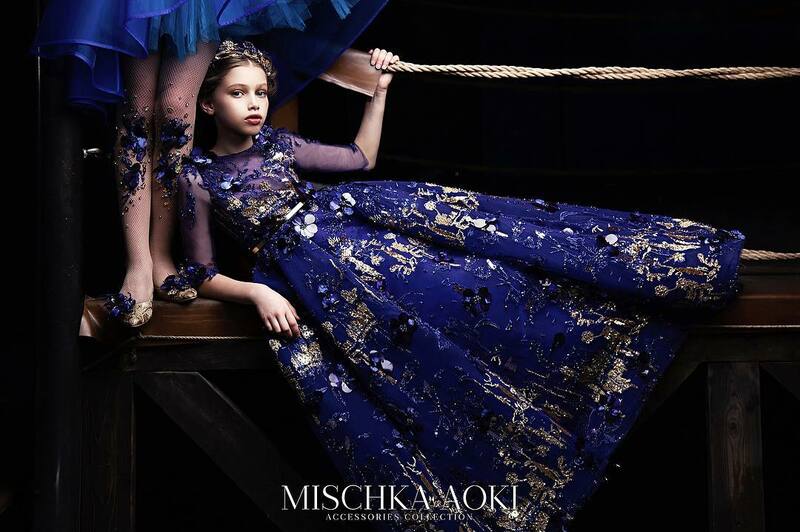 This season Monnalisa creates fresh, feminine and innovative designs with clever uses of sparkling stones, nautical theme and quirky finishing touches. 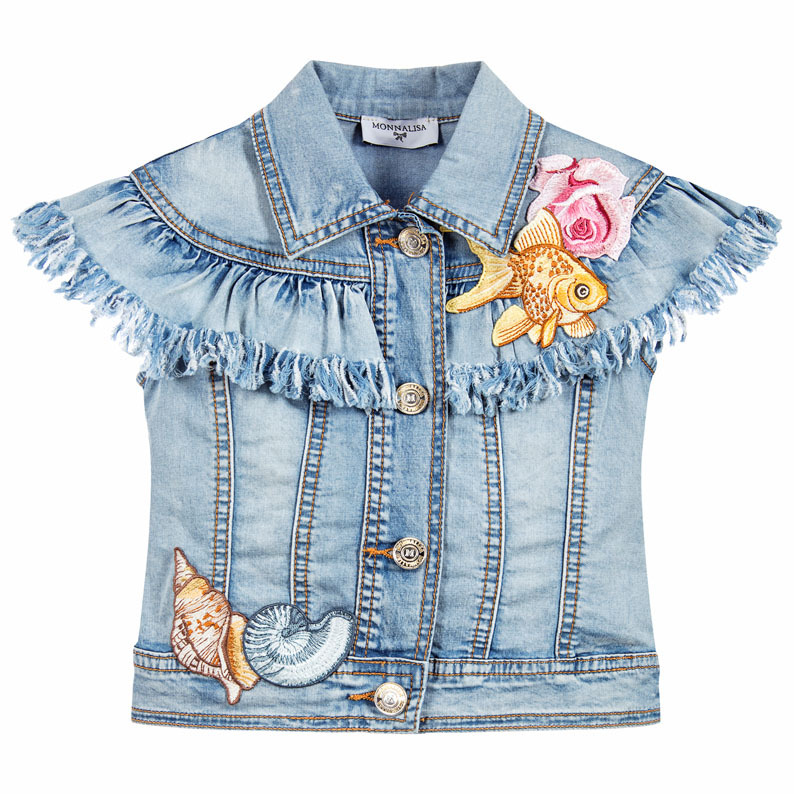 This denim jacket by Monnalisa Bimba is uniquely designed with embroidered sea appliqué and a fringed gathered layer on the front and back. 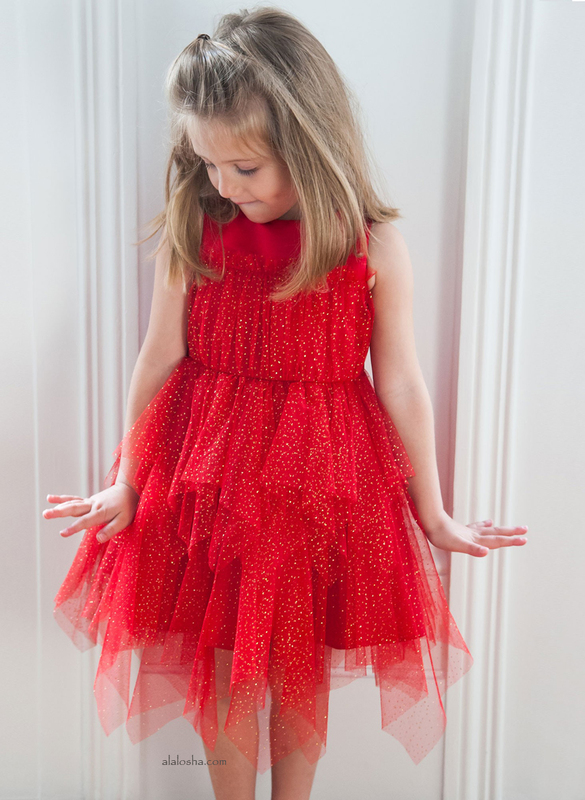 It is made of a soft cotton denim and can be adjusted on the back with buttons for a slimmer fit. 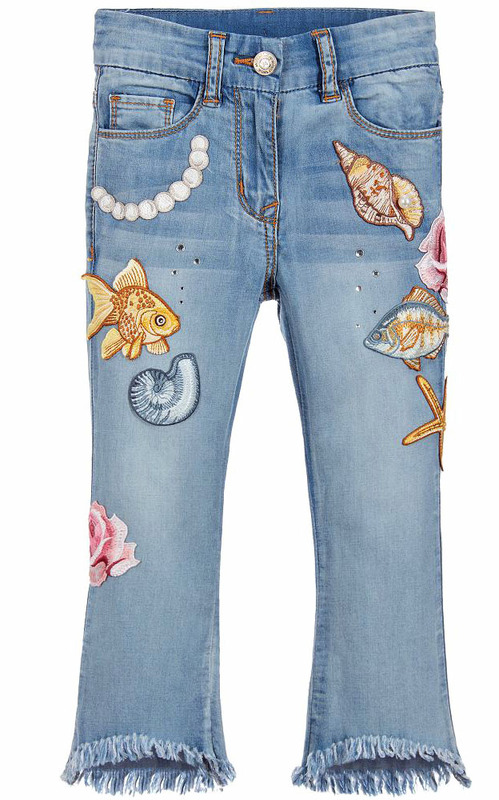 These light blue skinny jeans by Monnalisa Bimba are designed with embroidered appliqués, diamanté and fringed cuffs. They are made of soft cotton denim with a hint of stretch and have an adjustable waist for the perfect fit. 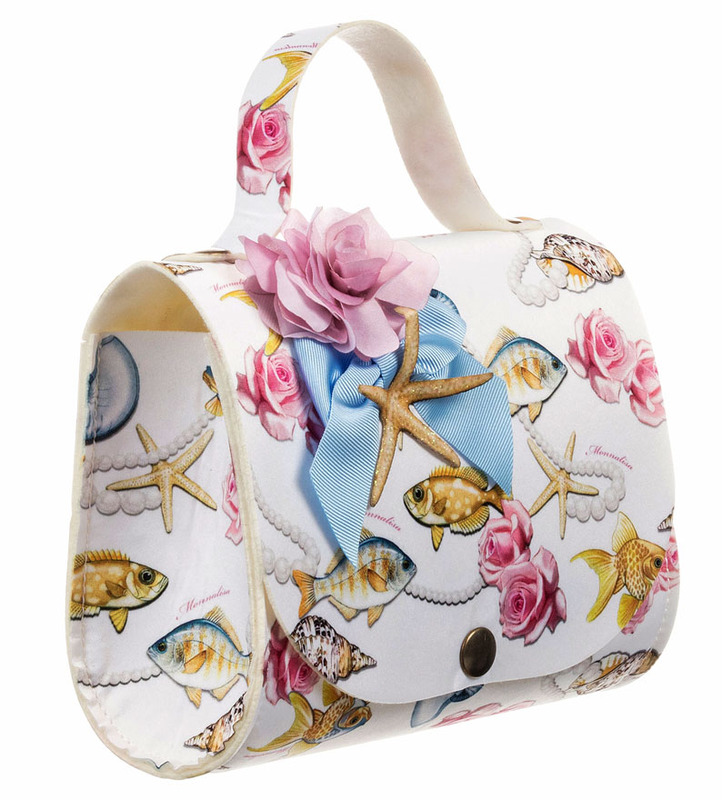 This white handbag by Monnalisa Bimba is a great choice for girls, with its floral sea print and flower, bow and starfish decoration. It is made of a lightweight neoprene and fastens easily with a popper.